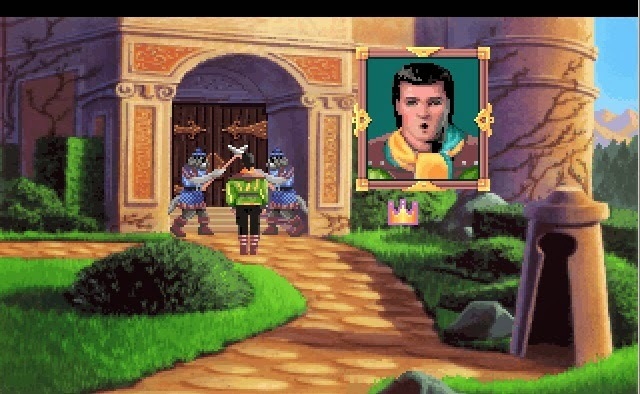 The next track to feature from King's Quest 6 is a pretty short one and to be honest it doesn't sound as good as I remember it - although maybe what is really memorable is what it accompanies which is when (SPOILER ALERT) Prince Alexander rides upon the winged horse (pegasus?) aptly named "Night Mare" - I say "aptly" named because the horse takes you to the Realm of the Dead and it's apparently a demon. The track is relatively short, mainly because it just plays during a cutscene as you ride Night Mare, but wow what an awesome cutscene it was (at least as good as it gets when staring at the back of a horse's head).